At a local ladies book club in Columbus Ohio, during a talk on my eBook Obscure Women Obscure Stories: A Pakistani Trilogy, the following passage from Purani Kahani, one of the stories, came under discussion and a question was asked. Theft is a universal theme. 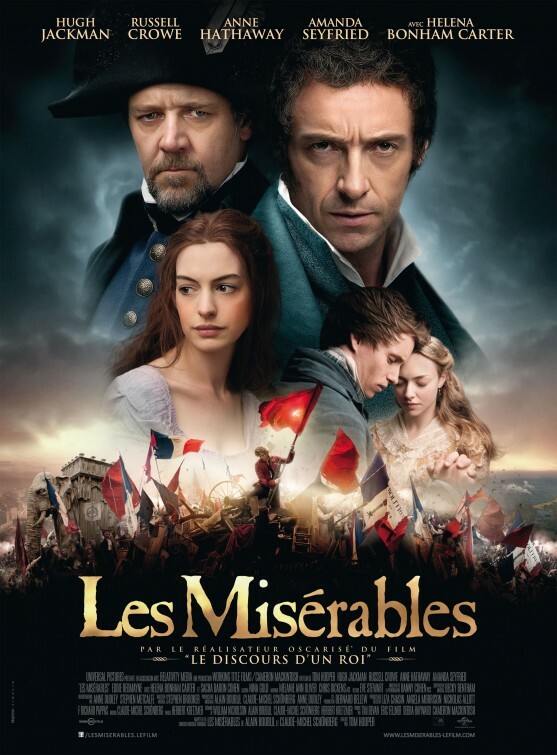 It took 17 years and more than 1300 pages for Victor Hugo to scrutinize it in his novel Les Miserables wherein Jean Valjean suffers 19 years of imprisonment for stealing a loaf of bread. The novel is not only about an ex-convict and his heroic struggle for redemption. It is also an appeal to law makers to look into the atrocities of law and the risks of judicial errors. For those who do not have the patience to read the novel, here is a theatrical first look of the recently released filmic adaption of Hugo’s classic. Purani Kahani, however, is a short story about an ancient race of people who did not have any concept of theft. It is hard to imagine a person under severe hunger who would not steal a loaf of bread. Even the birds fight over a worm, but a man or woman from Thar would not resort to such an approach. The article was actually part of my speech at the Goethe Institute where I was invited to speak on the launching of a photo exhibition of Thar and its people. The exhibits were by Ayaz Rashdi, a high government official, who was also an amateur photographer. It was an individual’s effort to document the life of a dying culture. Such efforts have been made by other individuals in the fields of film, television, journalism, history and artwork. “Purani Kahani” is an attempt to do the same in fiction. Thar is a part of the Great Indian Desert lying between Sindh and Rajasthan. It is also the worst section of the desert where temperatures can rise to 120 degrees. In olden days natives called it Marusthali, the region of death, where disasters and diseases were personified into mother goddesses. Out of fear and reverence small pox was called Mata, mother; famine was Bhukhi Mata, hungry or famished mother. Goddesses in ancient worlds are known to play dual and opposing roles of being healers and killers. Hundreds of terra cotta figurines discovered from Indus Civilization suggest that they had been ruling the spiritual realms of Sindh since those remote times; 5000 years later their concept survives crudely in the collective subconscious of Thar. There are many more ancient traits retained in Thar communities, perhaps because they have lived in splendid isolation, away from the world and close to nature. Even in this day and age they accept calamities as part of a natural cycle. Along with their cattle, they arrive in the fertile patches of Sindh during the long spells of famine and return as soon as they see lightening in the East. In 1987, Thar was in the third year of its famine and Rashidi’s photographs were exhibited to draw the attention of Karachi elites towards the miseries of Desert folks. As a result of the famine a large number of them had migrated to the irrigated and fertile parts of Sindh, some of the families camped outside my village. It was one of the shelters they had been using through times immemorial; they were not strangers to the villagers and I could remember their earlier sojourns from the 1960s and 70’s (due to the 1971 Indo-Pakistan war). Amongst the many who came was a man named Qasim, so soft spoken that only he could speak with the animals. He knew ways to diagnose their diseases and heal their wounds, even the bulls and buffaloes would cow down to him. There was an old woman who knew the art of dehydrating all the vegetables under the sun; you need to store a lot for the droughts in desert. One day I saw her picking up a piece of roti from the floor, kissing it, looking at it with reverence and savoring it bit by bit. Whole wheat bread is a delicacy for those who survive mostly on millet. There was yet another woman, a seamstress with perfectly carved features and dexterous fingers. She had no idea of geometry but she could create thousands of geometric patterns in her embroidery and her quilts. She had a chest, her most prized possession, a mini storage that accommodated her colored beads and threads, mirror pieces, cowrie shells, cloves, and a few pieces of silver jewelry. ‘It was metallic painted green and had a latch.’ It looked out of place like a luxury item discovered in the ruins of a civilization that used baskets for storing items. No one robbed her of her precious box but I did steal its image and used it in Purani Kahani. Thar Desert was incorporated in the Tharparkar district during British rule. Today in the Islamic Republic of Pakistan it remains to be the home of the largest Hindu population. In a region where the instinct of theft is non-existent the concept of co-existence thrives. There is an unwritten social contract (going beyond the social contract theories of Hobbes and Locke) between Muslims and Hindus, between neighbors, between family members that keeps them contented with their own share of grain. Let’s not create conditions where a Jean Valjean is born; the land lacks a Victor Hugo and the news is not good.